Robin Constantine is a born-and-raised Jersey girl who moved south so she could wear flip-flops year-round. She spends her days dreaming up stories where love conquers all, eventually, but not without a lot of peril, angst, and the occasional kissing scene. The Promise of Amazing is her first novel. Never give up. Keep writing the story that you want to write and trust your instincts. It’s also not enough to love writing on the ‘good days’, you have to love it on the awful days when it feels like everything flowing from your fingertips is clichéd drivel. Those are the days you need to care about it the most – keep putting one word down after the next and be wise enough to know the magic rarely (if ever) happens during the first draft. Hmmm. This could change daily but I have to say all around I love The Book Thief by Marcus Zusak. It’s a book that made me laugh and cry. The characters in the book are amazing too, so real to me. And Death as a narrator is just brilliant. Where did you get the idea for The Promise of Amazing? TPofA is a mash up of so many ideas – the seed of it came from my own high school experience. The first line of the book “None of you are going to Harvard” is actually something a guidance counselor said to my class. As an adult I get where she was coming from, but sitting in that classroom as a teenager unsure about the future it felt derisive. Obviously it affected me since I was inspired to build a story around it. And Grayson was a minor character in a different book that I ended up scrapping, but I couldn’t forget him so I introduced him to Wren and the story grew out of that. Did you hit any snags while writing The Promise of Amazing? What were they and how did you fix them? Writing from a dual point of view, sometimes a chapter would end on an inconvenient note as to the way the story needed to unfold. Wren wasn’t originally in the climactic scene that takes place in Guinevere’s cottage, and I had to figure out a way to get her there and make it plausible. At that point in the novel, when she’s aware of Grayson’s past and feeling manipulated by his friends, she decides to try and beat them at their game. I think it’s an empowered decision on her part – but that didn’t happen in my first draft! Which one of the characters in The Promise of Amazing is your favorite and why? Wow, it’s hard to pick a favorite!! I really love all of them, even the minor (and slightly evil) ones, but I’ll go with Grayson. He’s such a delicious mess of a person. He makes bad decisions, speaks without thinking, and is a bit of a bull in a China shop with his feelings – he was a lot of fun to write. I also think he’s probably the most misunderstood. I don’t see him as an awful person. I see him more as a teen on the cusp of adulthood who comes to realize he needs to make better choices with his life and stop blaming his actions on his past. A long and winding road! I’ve always loved to write but it wasn’t until after the birth of my first child that I got serious about it. 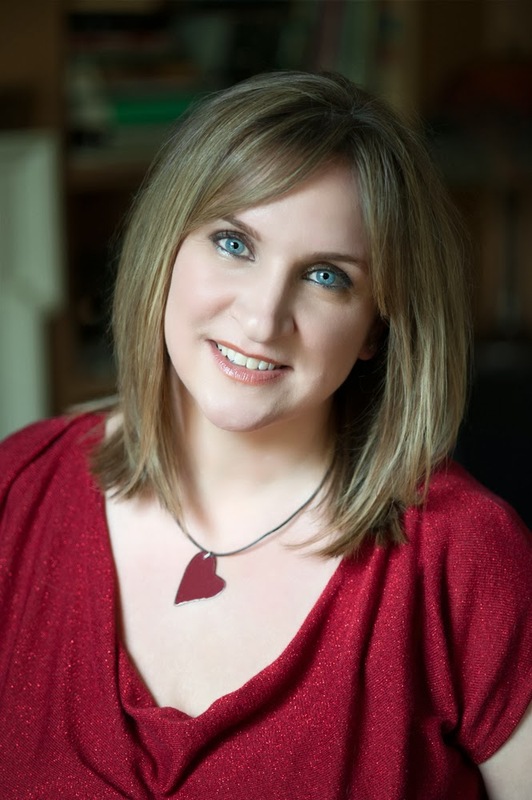 I joined SCBWI in 1996 and took a workshop in picture book writing. My first critique group formed out of that class – which is funny, because so many of us went on to write longer works but quite a few have had picture book success, which I think is insanely difficult. I wrote my first novel in 1998 and worked on it for about three years – changing, revising, I won a scholarship to a writing retreat with that one, but the novel is still collecting dust on my hard drive. I took some time off from writing when my second child was born, but I always critiqued and continued to go to my writing group. I feel like that helped me stay connected. When my little one started school I made it my goal to finish the novel I’d been fooling around with before she was born. I revised the novel over and over again until I felt like I had it to the best place it could be then I started submitting to agents. I also entered a contest run by chicklitwriters.com called The Get Your Stiletto In The Door contest. Long story short – I won. My agent was one of the judges in my category and requested a full. A few weeks later she offered representation. We worked on that manuscript for a couple of months before it went out on submission but ultimately it didn’t sell because it didn’t have enough of a hook. It was so discouraging – to work on something so hard and have all these near misses (and it’s a story I still really love). When I began The Promise of Amazing I had the mindset that ‘this is it’ – I don’t think I would have quit writing altogether, but I was going to pull back my focus from it for a while. The manuscript went through a couple of rounds of revision with my agent – some slight, some really in depth. A lot of times I wanted to forget about it – but then I’d give myself a pep talk, and get in there and just have at it. I turned it in the week before Thanksgiving 2012. It went out on submission the following Monday and by Christmas 2012 it sold. I’m still pinching myself. The thing I’ve learned the most during this pre-debut year is that getting ‘the call’ is only the beginning. Anytime I feel like I know what I’m doing, I get thrown off balance and suddenly realize I know nothing! There’s so much I’m still learning about my own writing process and about the publishing business. One thing I do know is that I love being an author – the good, the bad and everything in between. I’m working on a companion novel for The Promise of Amazing, told from another character’s POV. 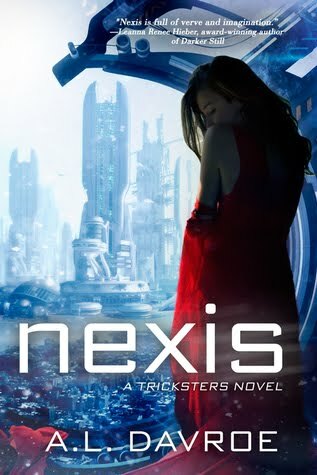 It focuses on Wren’s best friend, Madison and takes place a few months after TPofA – so it’s a completely different set of circumstances. It’s been fun writing from such a different voice, and also getting to see Wren and Grayson a few months after they first get together. What's your favorite place to eat in Jersey? Likewise, what's your favorite place to eat down south? Omigosh, I love this question! Hmmm…it’s less of a specific place and more like certain foods. Whenever I visit NJ I always have a list of things I want to eat! Bagels, pizza, Italian food, and Kohr’s frozen custard depending on the season. Oh, and I always have to visit a diner. Diner breakfast is such a treat! Down south, there’s a place I like called The Flying Biscuit Café – everything comes with a biscuit and apple butter. And they have this rather awesome Fried Green Tomato BLT that’s just delish. I’ve also come to appreciate Carolina BBQ – a favorite place for that is The Pit, in Raleigh, NC. Did you move down south only because you wanted to wear flip-flops year-round or is there more to the story? Honest? My husband wanted to wear shorts year round. He hates the cold! We do get winter down here but it’s mild compared to New Jersey. It will snow, but then it will be gone by noon. So it’s pretty funny what they call a snow day down here. We also just wanted a change of scenery and a different pace of life. Everything moves a little slower down south, and I mean that in a good way! I also don’t have to worry about alternate side of the street parking anymore, which is really quite wonderful. You’d be amazed at how factoring “Will I find a parking spot when I get home?” affected my decision to go someplace. Why did you choose an Arthurian style catering hall for Wren's family to own? I worked in a catering hall in college and knew the potential for characters and funny situations was there. As for the Arthurian theme – I wanted something that had potential to be kitschy but at one time had been popular. The symbolism of the ideals of Camelot was also in the back of my head. I think Wren idealizes her family and through the course of the story realizes how very human they all are so The Camelot being reinvented does subtly mirror Wren’s family life as well as the theme of not letting your past define you. Thank you for hosting me on your blog!! 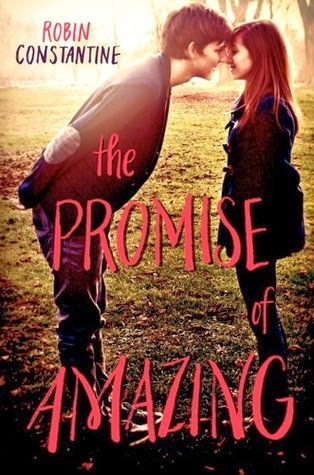 Robin is giving away a signed copy of THE PROMISE OF AMAZING to one lucky US winner! The Promise of Amazing: Wren Caswell is average. Ranked in the middle of her class at Sacred Heart, she’s not popular, but not a social misfit. Wren is the quiet, “good” girl who's always done what she's supposed to—only now in her junior year, this passive strategy is backfiring. She wants to change, but doesn’t know how.